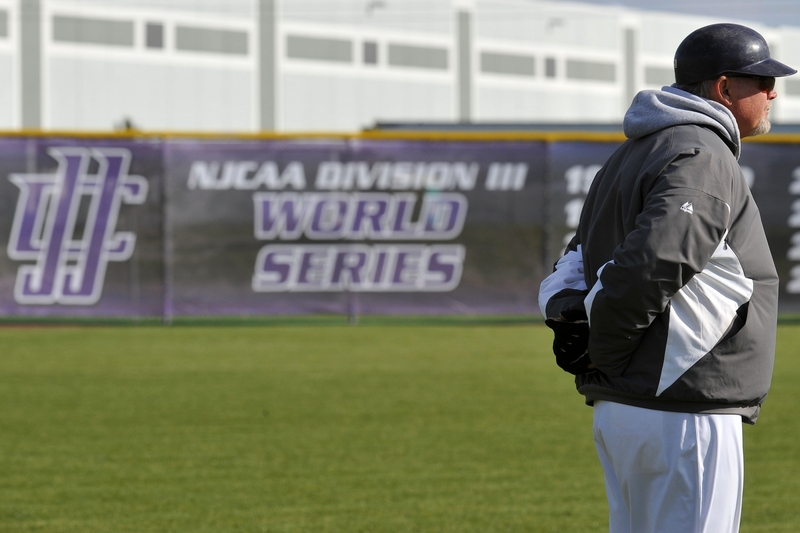 Joliet Junior College Head Baseball Coach Wayne L. King, Jr. will enter his 33rd and final season this spring. King’s official date of retirement from JJC is May 31. Coach King will leave an incredible legacy for not only the baseball program, but 24 years as the director of athletics. King attended Ohio University on a baseball scholarship where he was a four-year starting catcher. While earning his bachelor's and master's degrees, King spent six years as the Bobcats assistant baseball coach for then-Head Coach Jerry France. 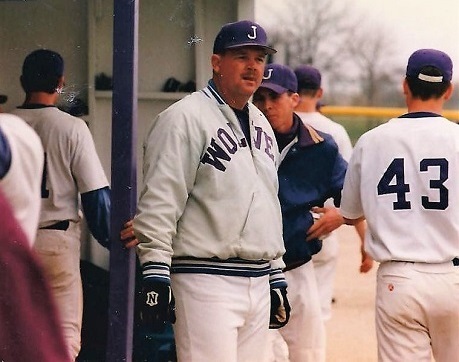 In the fall of 1986, the head baseball coaching position opened up at JJC. You could say it had destiny written all over it. King boasts the most coaching wins in JJC’s history with an overall record of 1105-715-2. He also holds the NJCAA Division III coaching record for wins. During King’s tenure as Wolves head coach, he has guided his teams to three NJCAA national championships (1994, 2008, 2012), three national runner-up finishes (1995, 2007, 2015), and two third place finishes (1997, 2006). He has made 12 total NJCAA World Series appearances, has earned 16 Region IV Division III tournament championships and claimed seven N4C titles. Without question, King’s coaching success has not gone unnoticed. He has been voted Coach of the Year in the competitive N4C Conference seven times. For the Wolves success in 1994, 2008, and 2012 he was named NJCAA Division III National Coach of the Year, Coach of the Year for the Division III World Series and District B Coach of the Year. King was also inducted into the Illinois High School Baseball Coaches Association Hall of Fame in 2015. 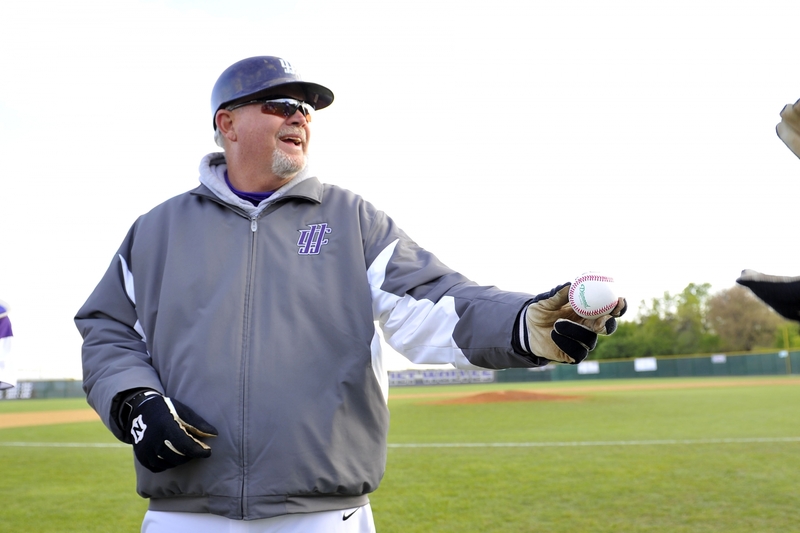 In 2009, King was inducted into the NJCAA Baseball Coaches Hall of Fame for his career coaching accomplishments. 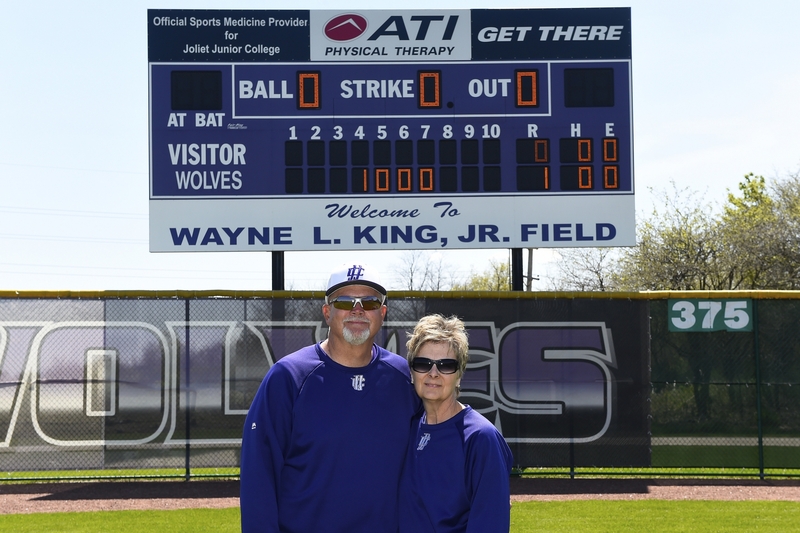 During that same year, the JJC baseball field was officially named Wayne L. King, Jr. Field at a ceremony. Coach King has had numerous players transfer on to four-year colleges to continue their baseball careers. Two players, Jim Scheffler and Ed Koncel, were drafted by Major League Baseball teams right out of JJC. Wayne was inducted into the Region IV Hall of Fame as an administrator/coach by his fellow Region IV athletic directors in 2004. He was also named into the Beaver Local High School (East Liverpool, Ohio) Hall of Fame in 2008 where he earned 10 varsity letters in football, basketball, and baseball. King was named the JJC’s director of athletics in 1995. So many people have been instrumental to Wayne King’s success at Joliet Junior College. Coach King’s last home game will be on May 4 to end the 2019 regular season. The doubleheader against the College of Lake County will be his final regular season home game as head coach of the Wolves. All former alumni will be invited out that day to celebrate his career. The new head baseball coach will have some large shoes to fill. The Joliet Junior College Athletic Department will honor Wayne L. King, Jr. for his career accomplishments on June 21 with an retirement celebration at 176 West Banquet Facility in Joliet, Il. Tickets will be $40.00 per person that can be purchased online at https://www.jjc.edu/wayneking. A limited number of tickets will be sold for this event on a first-come basis. And so one door shuts and another opens. An incredible legacy left behind.